Just a little bit odd. This little time machine is $33 and measures 1.75″ tall. 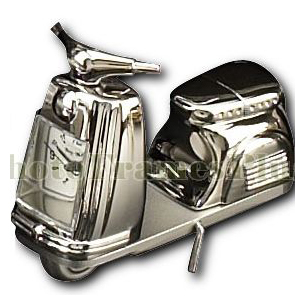 This entry was posted in Decor, Models, Figurines and tagged clock, miniature, odd scoot, scooter, vespa by Tracy. Bookmark the permalink.